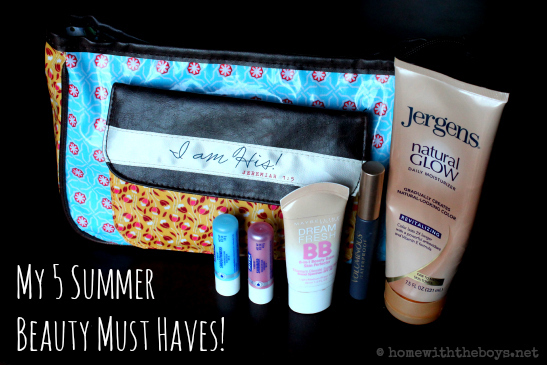 My 5 Summer Beauty Must Haves! I have included a few affiliate links below. When you purchase through these links, I may receive a small commission. Thank you for supporting this site and our sponsorship of our Compassion child, Samson! Summer always throws me for a loop, especially when it comes to my beauty routine. It’s hot and humid and my usual plan for getting ready just won’t do with all of the sweating and swimming and…you get the idea! I need a little foundation to even out my skin, but I don’t want to feel like I’m wearing a mask. SPF is a must in everything and we’re always around the water. And then there’s my hair…well, it is quite the beast to deal with in these hot months! 1. Maybelline Dream Fresh BB Cream – I have always been skeptical of products that claim to be “4-in-1” or more, so I avoided BB cream when I first heard about it. What was I thinking?! This “8-in-1 beauty balm skin perfector” is my favorite summer beauty item – it is light, it covers well, it contains moisturizer AND sunscreen – I love it all! 2. Nivea A Kiss of Smoothness & A Kiss of Shimmer – I just happened to pick these up in a two-pack in the Target aisle a few weeks ago because I needed a lip balm with SPF. I cannot believe how smooth they make my lips feel! The shimmer is very light and summery. This is now my go-to for anytime I will be outside! 3. Jergens Natural Glow Moisturizer – I am a fair-skinned Midwesterner so I don’t want to blind anyone at the beginning of swimsuit season with my super-white whiteness. I am very scared of self-tanners, but my mom promised Jergens Natural Glow was not streaky or orange or splotchy – and she was right! 4. L’Oreal Voluminous Waterproof Mascara – I was introduced to this mascara getting ready for my sister’s wedding three years ago and it’s still my favorite! My boys LOVE the water, so this mascara is a necessity! BONUS – Makeup Bag – You have to have something to put all of this in, right? The “I Am His” makeup bag from the DaySpring Redeemed Collection is the BEST makeup bag I have ever used. It is roomy and cute and has an outside little pocket to carry my bobby pins and ponytail holders. I can fit everything I need in it when we go to the gym or pool and I need to freshen up afterwards! What is on you summer beauty must haves list? 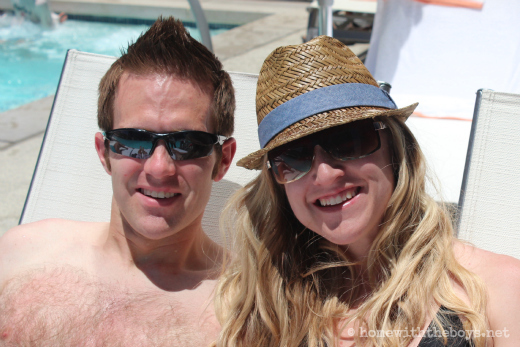 *I’m linking up with Works for Me Wednesday over at We Are That Family! Come join me and find lots of helpful hints! I too love the maybelline BB cream! Its so light and fresh but still gives coverage. I am going to go look at that very cute makeup bag now.